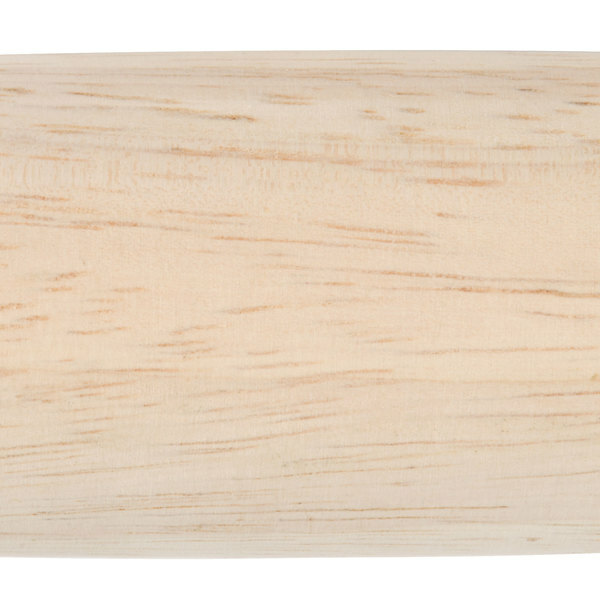 Rolling out dough has never been easier than with this 20" tapered french rolling pin! Perfect for any busy bakery, pizzeria, commercial kitchen, or catering service, this pin will take the struggle out of rolling out pie or pizza crusts. Plus, it is made from a solid one-piece wooden construction for supreme durability. 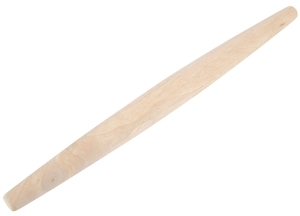 Compared to modern rolling pins with axles, this tapered handle-less rolling pin is the preferred choice for many French pastry chefs. 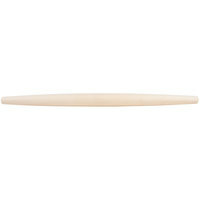 "perfect size and taper for rolling out dumplings, pastry dough or anything that needs rolling. Smooth finish and sturdy. We'd order again but this one seems like it will outlast us." 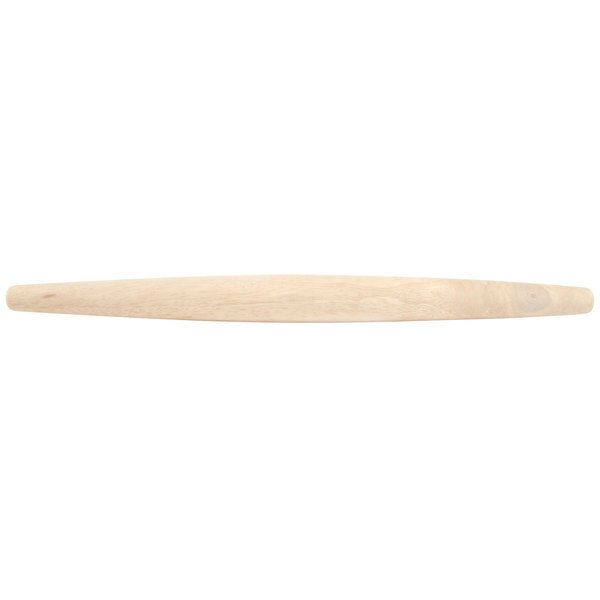 The tapered ends and 12" length of this rolling pin facilitate ease of use and make the sturdy yet slender rolling pin easier to grasp. The 12" length also gives you the ability to roll out large amounts of dough at once, cutting your prep time down exponentially. Boasting a smooth surface for easy cleaning, this rolling pin will help you and your employees work quickly and efficiently. 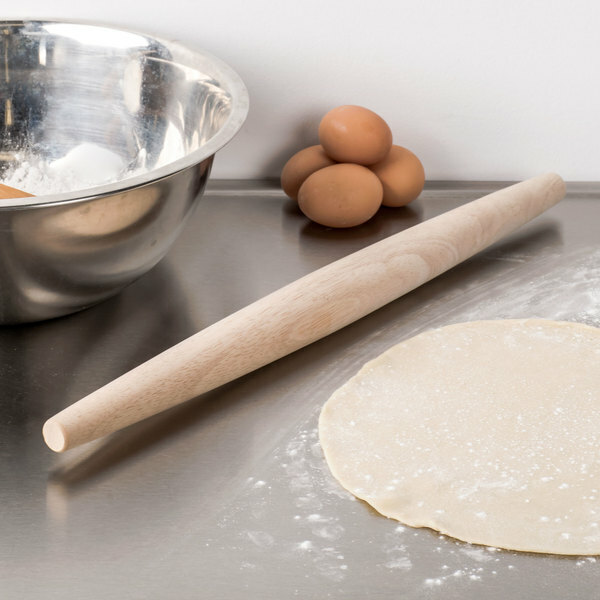 With no crevices for dough to get stuck in, this rolling pin is perfect for rolling out circles of dough for pies, tarts, pizzas, and cookies. Very nice French rolling pin. These are high quality and we have never had to replace them even though they get heavy use. I would definitely recommend! 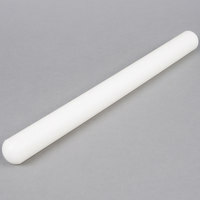 This rolling pin is a very nice quality product. It fits in my drawer and makes rolling very easy and controllable. It is also easy to clean. Highly recommend! I got this French Rolling pin to go with the rolling pin cover I also purchased from Webstaurant ( Item #: 144696 ). Together, I can easily roll out pastry and cookie dough. 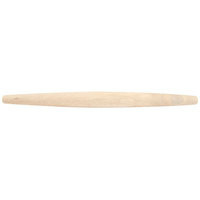 The tapered style gives you more surface area to work with than a traditional style rolling pin. 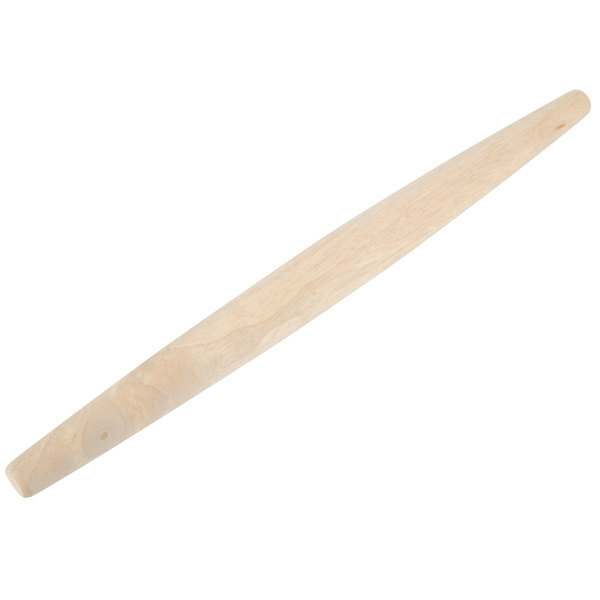 Nice rolling pin, the 20" Tapered French Rolling Pin is best for Fondants and such but can be used for any rolling needs, pie crusts, pizzas, etc. It's a great product at a good price.! This is the perfect length for what we need. Very good quality wood and it's smooth right out of the bag so we don't have to use too much flour. I'm sorry, but this was a bad purchase. The shape of the sides are more convex, and that middle bulge does not work for even rolling. Also.... a BIG problem with my rolling pin is the rough splintered surface! Not smooth at all!the wood feels like light cheap pine. What a disappointment as I thought this would have been of good quality coming from a store that specializes in restaurant standard items. It's of no use to me. It may just be me but the tapered edges of this rolling pin make this harder to use than a standard one. I feel like the middle of the dough rolls out thin while the edges stay a little thicker. It's hard to get a flat sheet. 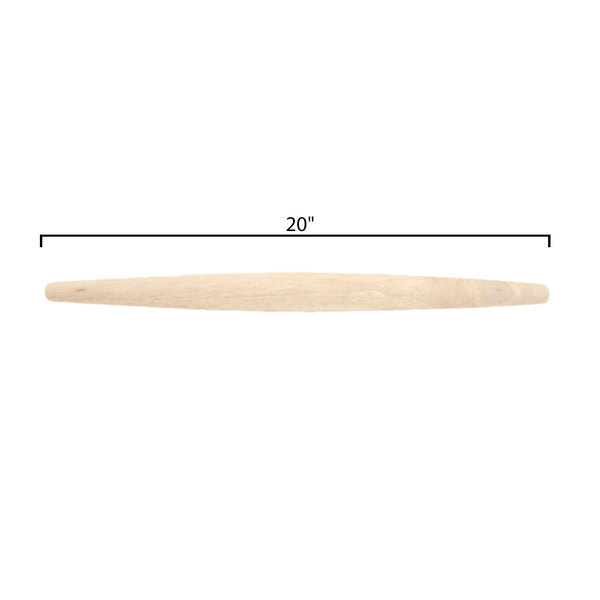 The 20 inch tapered French rolling pin is one of my all time favorites, highly recommend this product and I use it all the time. Easy to wipe clean and no issues with cracking. Bought this in conjunction with the rolling-center, cylindrical rolling pin to see which one I prefer. I've used both (albeit the other one a bit more), although I can see the applications in which this kind of pin is preferable. Amazing quality for the price. 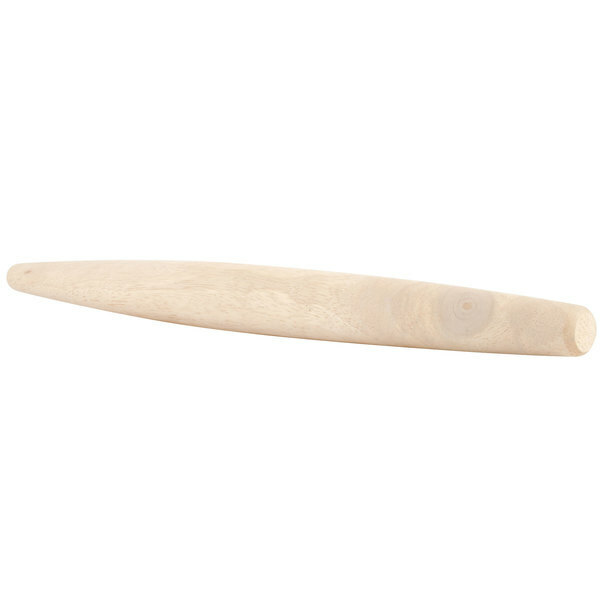 This rolling pin is great for pizza dough,bread dough, cookie dough, pastas endless uses but awesome quality and just handles so we'll when rolling out all types of dough. I'd never used a French rolling pin before, but the other reviews were good so I gave it a try, and I have to say I didn't notice much difference between this and the traditional American rolling pin. Worked great! Im so glad that I got this rolling pin. It has a little weight to it which from the ones I've had means it's solid. I love the fact that I can roll and not have any lines in my fondant. 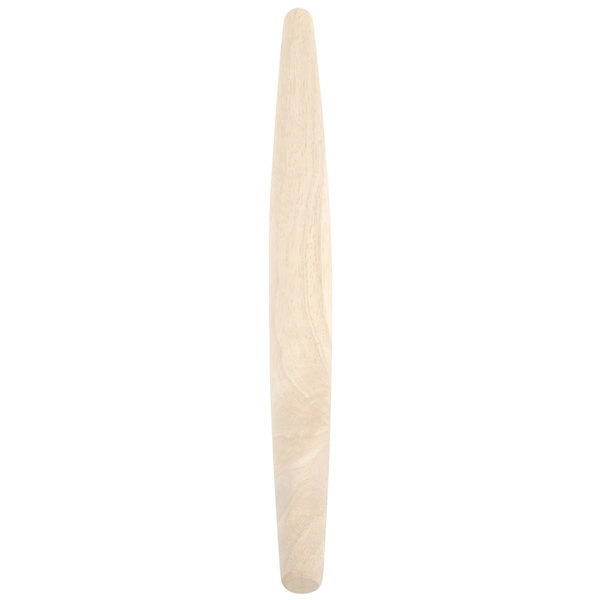 You can't go wrong with this 29 inch French style tapered rolling pin it's high quality at a low cost from WEBstaurantStore perfect for rolling out all types of dough. perfect size and taper for rolling out dumplings, pastry dough or anything that needs rolling. Smooth finish and sturdy. We'd order again but this one seems like it will outlast us. great for times when you have a little more control over your pressure and want to finesse the dough a little more than with a straight rolling pin. super simple item but sturdy and at a great price. this is a good pin for things like pie doughs and pasta. 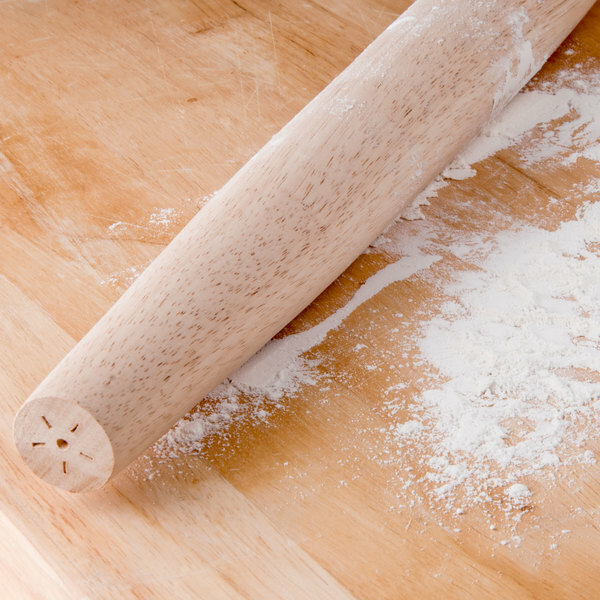 This is a great rolling pin for the low cost! I use it to pound the butter out before laminating my croissant dough. Good quality.